OBJECTIVE: Serve as the liaison between sales, lenders, and title companies to ensure smooth, efficient and timely closings. A. Upon receipt of contracts, verify all documentation is complete and accurate. B. Verify the accuracy of all pricing information. C. Prepare contracts for management review and approval (as required). A. Input and track sales in the designated system(s), including sales releases, plan configuration, approving sales contracts, entering incentives, COE changes, walk-thru dates, contract notes, community set-up, and sales associate set-up. B. Process and distribute copies of all option addenda to designated parties and verify, reconcile and distribute all option monies. A. On a weekly basis, review and monitor adherence to completion dates, walk-through dates and closing dates with sales staff. B. Communicate to escrow when all conditions are clear and approve releases to close. C. Prepare seller’s terms for the escrow/title companies verifying sales price, deposits and any other fees due to Signature Homes as well as any special instructions. D. Review escrow instructions and Grant Deeds and compare against seller’s terms. E. Secure sellers’ signatures and notarize documents and then send documents to title company for recording. F. When necessary, provide final inspection reports, building permits and lender documents to lenders and title companies. G. Review and reconcile closing statements from title companies. H. Provide closing reports and files to the accounting department and payroll. I. Process required cancellation paperwork and notify all designated parties. A. New employee set-up, community transfers and terminations including, but not limited to, sales contracts, license verification/broker change, adding associate information to website(s) and report distribution lists, providing access to Grandflow and UPS. B. Prepare annual sales contracts for sales staff. Administer and revise contracts during the year when necessary. A. Vendor set-ups as needed. B. Sales vendor contracts as needed. C. Purchase orders when needed. A. Responsible for community set-up and closing. B. Furnish sales team with supplies as needed, including business cards, etc. C. For all sales releases, configure lots/plans in Newstar, provided sales team with updated price sheets. Prepare various daily, weekly, monthly and yearly sales reports. Attend sales meetings as scheduled. Perform document notarizations as required. Prepare all correspondence for the department. Assist with all other special tasks and projects as directed by management. Administrative support for sales manager and sales team. 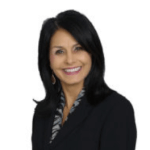 Leslie began her recruiting career in 1999, working for some of the larger recruiting firms such as Management Solutions, The Solomon Page Group and Alchemy Search Partners. She has also worked as a Corporate / Executive recruiter for Silicon Valley companies during their hyper growth years, regionally and nationally. Her specialties include Finance, Accounting, Marketing, Sales, IT/Engineering and Administrative roles. She has a high level of integrity and works hard to make sure that her Clients as well as Candidates feel valued in the interview/hiring process. During her off hours, Leslie enjoys road bike riding, boating, cooking and entertaining.